Wood shutters are a vital part of window covering usually consisting of a frame of vertical stiles and horizontal rails, shutters serve a variety of purposes, to control the entrance of sunlight in the room, or to provide more privacy and as security against unwanted intrusion. But ultimately like all other wooden products shutters too hold a workable life after which they are disposed. Now these disposed shutters could be cut molded and shaped into a lot of new usable things. 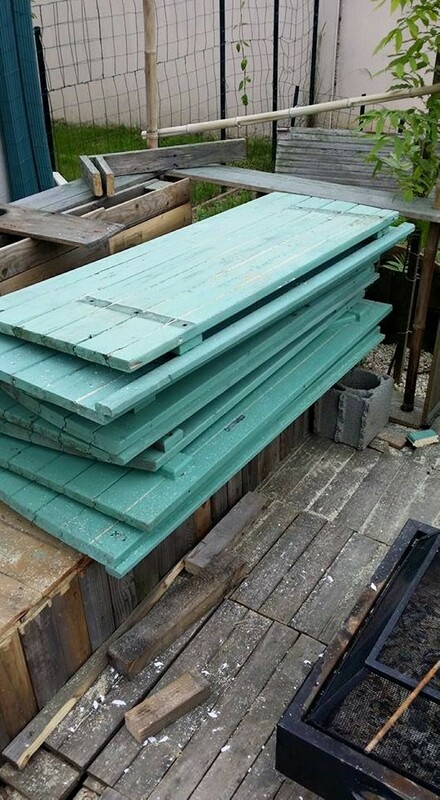 In this DIY article we would learn how to recycle these wood shutters into planters or huge flower tubs to place them in our garden or lawn. 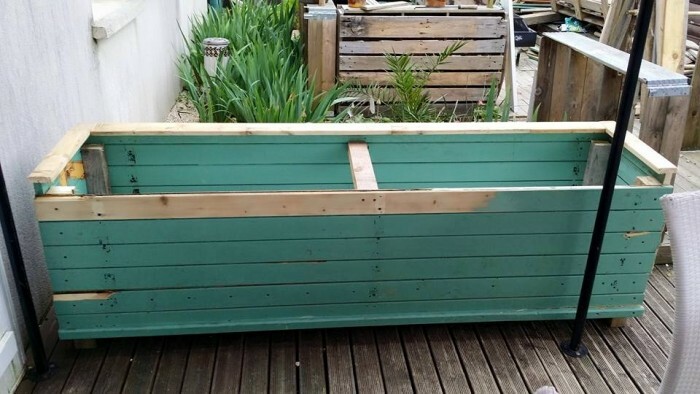 For making this flower tub we must be well equipped with all the necessary tools like a hammer, different sized nails, circular saw and miter saw. Now grab a bunch of wooden shutters, disassemble the additional planks to gain plain surfaced shutters in order to gain smooth and leveled texture. Initially cut three wooden shutters in same sizes accordingly to give them a shape of box, place one on ground horizontally and join the rest of two shutters on the extreme corners length wise vertically and join them with PVA glue and nails to make it firm and stable enough to carry the weight of clay. Now cut to pieces of wooden shutter in same size to cover the both extreme ends width wise and join them as we did earlier. 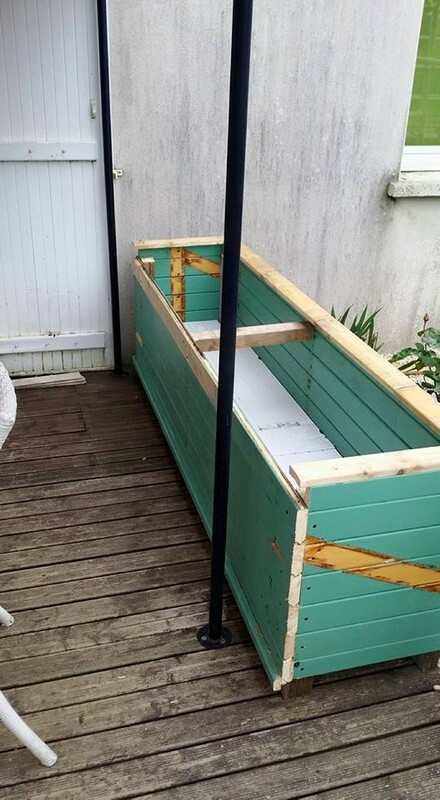 Now we gained a box shaped tub, paint it with your desired color and further modify the shape u like by cutting edges, fill the spaces in planks of shutters with glue to avoid ousting of clay. 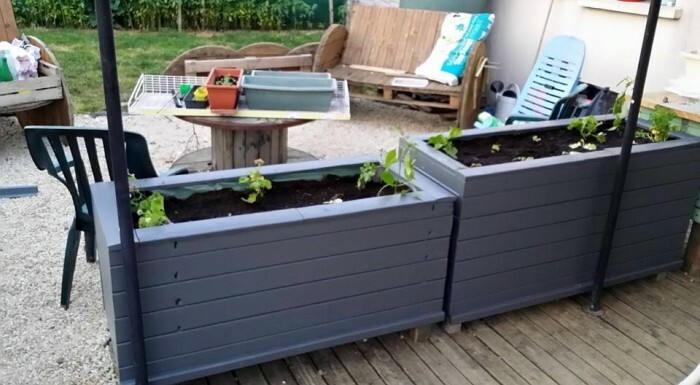 Now fill it with clay and plant the flowers you love to enjoy their fragrance in your very own garden and your self made planter or flower tub. 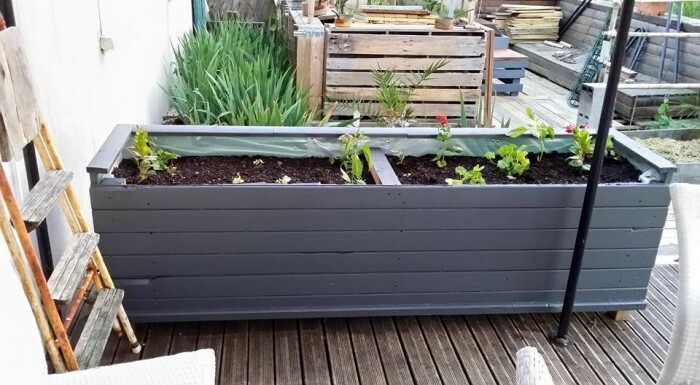 A vintage planter, made by recycling wooden shutters is all set to grow plants and flowers.